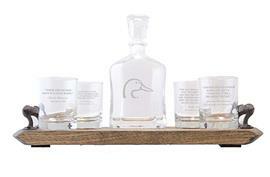 Get the DU Decanter & Glassware Set by becoming a DU Sponsor! For DU by Bourbon & Boots, this set is perfect for entertaining at home, at the lake house, or hunting lodge, and is unlike any other home bar décor. 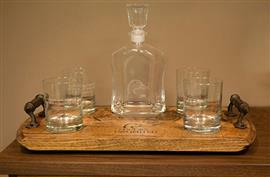 The whiskey decanter and four cocktail glasses sit atop an authentic bourbon barrel wooden serving tray with rustic, wrought- iron handles. 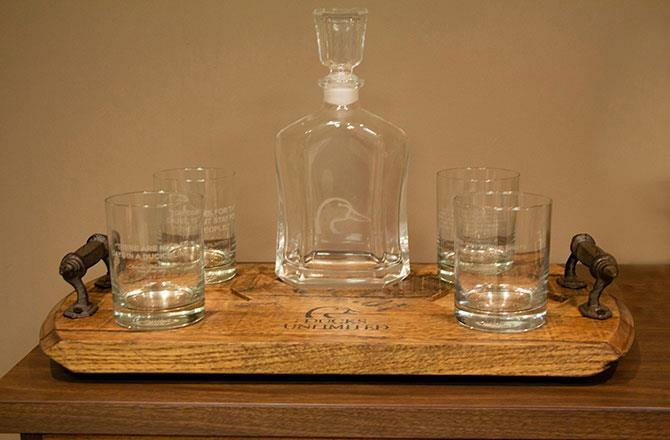 The wooden tray is handcrafted from reclaimed bourbon barrel heads from Bourbon County, Kentucky. Each tray is unique and stamped with the DU logo and the Cooperage markings from the distiller, making this a truly vintage piece handcrafted in the USA. The 24-oz. decanter features an etched DU logo. 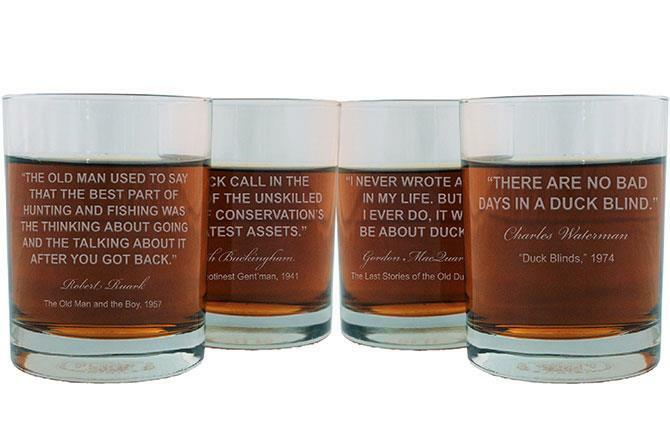 Each of the four glasses is sure to please with its own unique, etched quote from notable legends among waterfowlers – Nash Buckingham, Gordon MacQuarrie, Robert Ruark, and Charles Waterman. 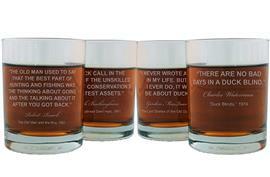 Each time you lift your glass with friends, you will be reminded of the beauty and camaraderie of your experiences in the blind or in the field. This set is your gift with your sponsorship of $250 or more! 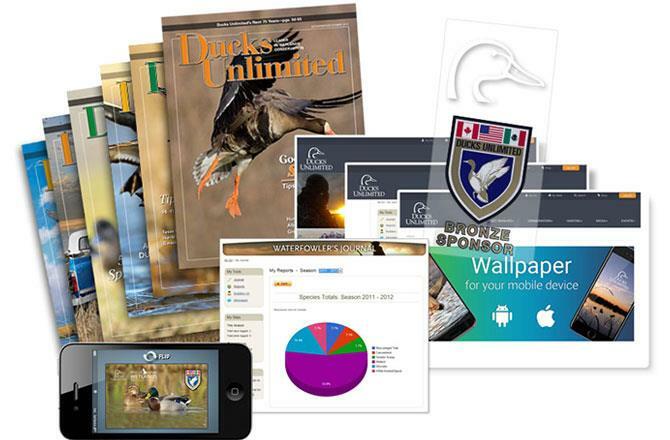 It's a great way to show your support of the wetlands you love! Available while supplies last.